We recently spent 10 days in the UK for a friend’s wedding, starting with a visit to longtime TidBITS and Take Control author Kirk McElhearn in Stratford-Upon-Avon (yes, we saw the Royal Shakespeare Company’s King Lear while there) and then moving on to London. It was a vacation studded with and improved by technology, including a public Qi-enabled charging station in the Newark airport, a rental VW Golf that gave us our first real-world experience with CarPlay (we immediately wanted iOS 12’s promised support for third-party navigation apps like Google Maps), and renting a large shared Airbnb apartment with other wedding-bound friends from Australia. We quickly set up a huge Messages conversation that included everyone we were with, complete with shared locations, and used it for coordinating five families through the visit. 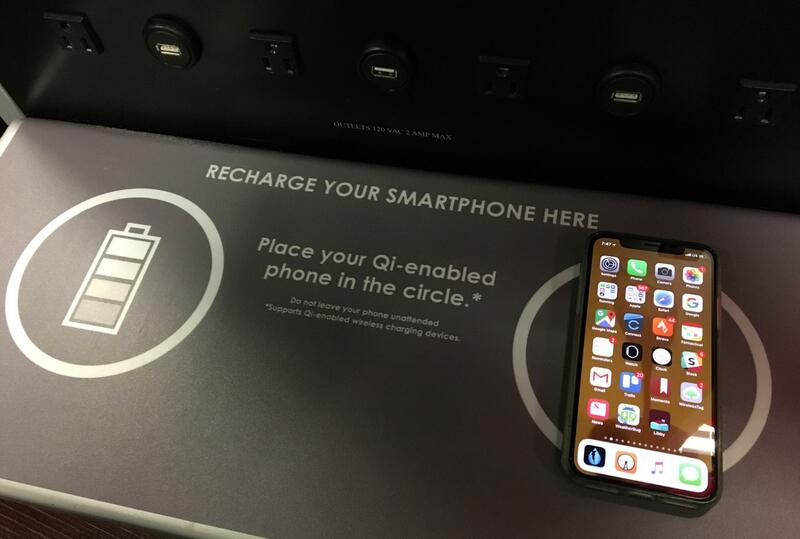 Setting my iPhone X down on a charging pad in a public space was a little unnerving. Two other bits of technology made the trip significantly easier and cheaper: Giffgaff and Apple Pay. 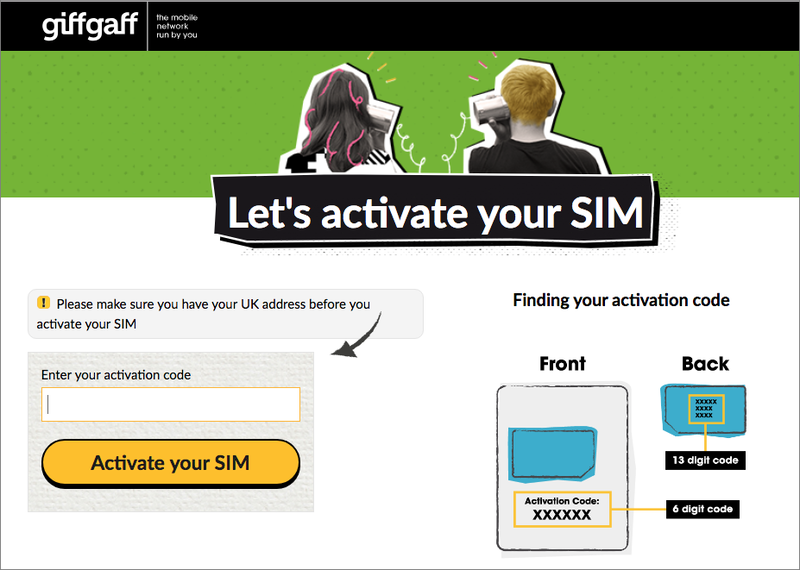 The oddly named Giffgaff is a Mobile Virtual Network Operator, or MVNO, that uses the widespread O2 network in the UK and provides a useful way of getting inexpensive cellular data there. Apple Pay was helpful because it’s supported as a contactless payment system by Transport for London (TfL)—the authority overseeing the Tube, buses, London Overground, River Bus, and other forms of public transportation. It’s almost hard to remember how we coped with travel in pre-iPhone days, what with paper maps, questionable guidebooks, fussy traveler’s checks, and inscrutable public transit systems. Internet services and iPhone apps have largely eliminated these problems, but for them to work, cellular data is necessary. I put some research into the best way of ensuring that our iPhones would be able to get Internet access as soon as we cleared customs. One option was AT&T’s International Day Pass, which charges $10 per day and gives you unlimited calls and unlimited texts, and uses data from your existing plan. That might be fine for a day or two, but it would have cost us $300 for the three of us for the duration of the trip, and in retrospect, 3 GB wasn’t enough for the three of us anyway due to all the necessary mapping. Others recommended buying a SIM for a local carrier once we landed, but I disliked not knowing exactly where or how I’d do that, particularly while fuzzy after a red-eye flight. Ironically, I never saw a way of buying a SIM in the London Gatwick airport, but when we returned to the Newark airport in the US, we saw multiple SIM vending machines. And of course, if you have a carrier other than AT&T, the international options may be better. Thanks, then, to TidBITS reader Jolin Warren, who suggested I use Giffgaff. 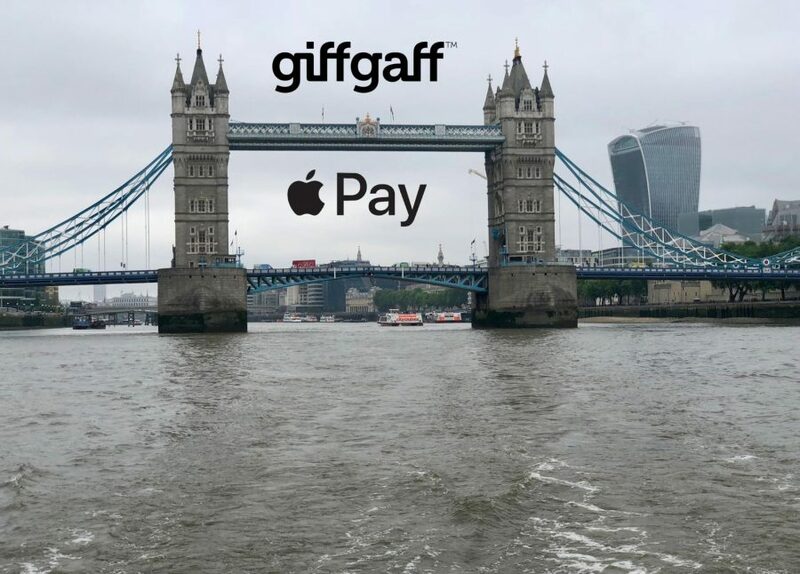 Although Giffgaff is focused on providing service to UK residents, it has a service that works well for international visitors with unlocked iPhones. (Make sure to unlock your iPhone with your carrier well before you leave since it supposedly can take some time. AT&T’s unlocking process took just an hour or so for us.) You can order a SIM for free and receive it anywhere in the world. Then, before you leave for the UK, set up your Giffgaff account and purchase a “goodybag” that’s basically a bucket of minutes, texts, and data for a month. We encountered some confusion, such as the activation page’s claim that a UK address was necessary and no way of knowing which of our credit cards would work in advance. Happily, no address was actually required, and I sidestepped the credit card issue by using PayPal. We were able to activate our SIMs and get our accounts working at home, and we even tested to make sure we could install the SIMs in our iPhones. I’d encourage you to do the same. The trickiest part turned out to be dealing with the SIMs themselves since they’re so tiny, and we had three that looked identical. We ended up marking them with a Sharpie to keep them straight and marking our original AT&T SIMs for when we returned. We ended up carrying the SIMs in a contact lens case, and I put the SIM extraction tool in my wallet. That was dumb since it disappeared under the car seat when I pulled out a credit card while getting gas on the way to the airport. Luckily, a paperclip worked and could be bent to fit in the other side of the lens case. All that preparation was worthwhile since we were able to swap the SIMs as soon as we cleared customs, and that gave us full Internet access while picking up the rental car and navigating out of the airport. 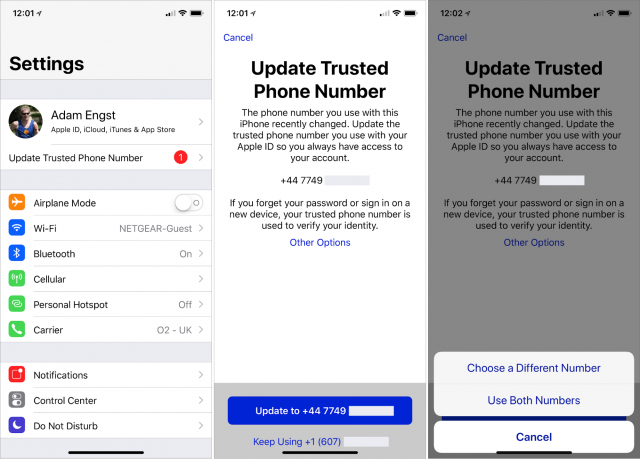 One unexpected event was that our iPhones noticed the new phone numbers and asked repeatedly if we wanted to update our “trusted numbers,” eventually settling on one of those red-badged nags at the top of the Settings app. Apparently, a “trusted number” would be used if I needed to sign in from a new device, and since the chances and consequences of damaging an iPhone while traveling are both higher, it seemed like a worthwhile thing to do. Although we were initially hesitant to switch the numbers, as the middle screen below implied would be necessary, the screen on the right gave us the choice of using both numbers, which seemed sensible. The only mistake we made was in underestimating how much data we’d need. At home, we share an AT&T family plan with 3 GB of data with no problems. So we each purchased a £7.50 goodybag that came with 1 GB of data, and each of us ran out before the end of the trip. Had we each purchased the £10 goodybag with 3 GB of data, we would have spent £30. Because you can only get more data before the end of a month by buying another goodybag and activating it early (once you have less than 50 MB of data remaining), we spent a total of £47.50 on the initial purchase plus extra data. At about $64, that was still way cheaper than AT&T’s $300. Our error came in failing to realize that we’d be relying on our iPhones much more often throughout the day when we weren’t on Wi-Fi, as we are at home, and when Tristan is on the Cornell campus during the school year. Much of that data usage was due to non-stop mapping, but it’s worth going into Settings > Cellular and disabling access for any apps that you think might use a lot of data. It’s also worth remembering that any services, like Twitter, that use SMS-based two-factor authentication, won’t be able to send you a text message to your new phone number. You may be able to work around that by signing in before you leave, or by switching to an authentication app like 1Password, Authy, Google Authenticator, or LastPass. The challenge of driving on the opposite side of the road was one thing when we were out on the motorways and around Stratford-Upon-Avon, but driving in London was insane, what with the traffic, squirrely little roads, trying to match Google Maps directions with difficult to find street signs, and more. We were happy to return our rental car right after arriving and planned to use London’s famed public transit system—the London Tube!—for the rest of the trip. Relying on public transit systems as a tourist is often quite stressful, between the confusion of trying to figure out routes and figuring out the local payment systems and policies. Luckily, both Google Maps and Apple’s Maps did a good job of providing detailed directions that included walking routes when switching from a bus to the Tube, for instance. But payments were still a worry because there are all sorts of variables based on zones, time of day, age, and more. The physical process of paying with Apple Pay is brilliant—most of the time. There’s a yellow payment pad on gates in the Tube stations and at the front of buses. 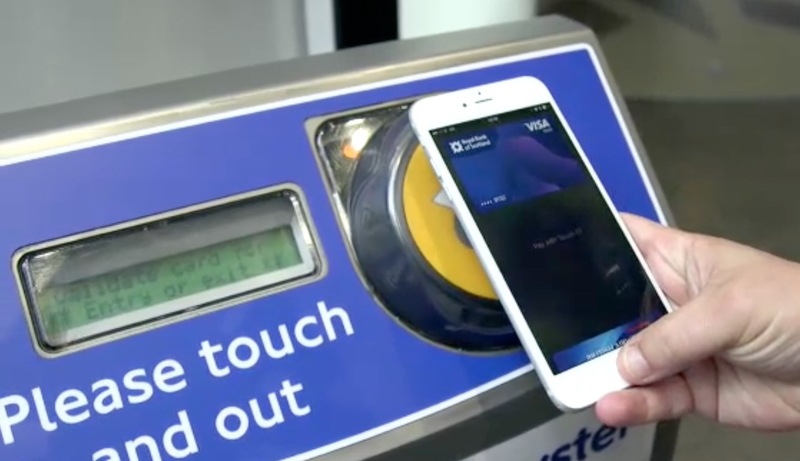 You invoke Apple Pay, authenticate, and then touch your device to the pad. (You’re supposed to be able to touch your device to the pad to invoke Apple Pay and then authenticate, but that didn’t work the one time I tried it.) The gates then open, or a light turns green, indicating you can proceed. 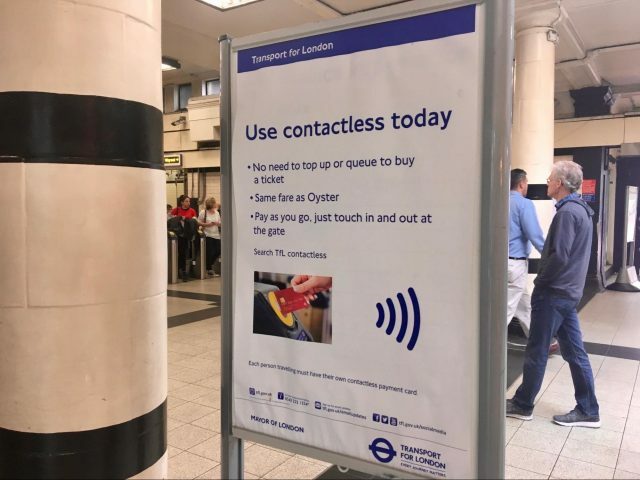 For the Tube, you have to touch in when you enter the station and touch out when you leave; for buses, you just touch in when you board and don’t need to touch out. Use a supported credit card. Our debit cards from our local credit union had no currency conversion fees, so we thought we’d use them with Apple Pay. However, it turned out that US debit cards generally aren’t accepted in the UK, so we had to set Apple Pay to use a different credit card. Make sure you have a few credit cards loaded into Apple Pay to be safe. Be patient and try again if necessary. We had a non-trivial number of failures, where Tristan and I would get through the gates, for instance, but the system would reject Tonya’s payment. Some of that was user error, as we all figured out how to use Apple Pay more fluidly, but other failures had no obvious cause. It might have been related to all three of us using the same credit card in too quick succession, but sometimes everything worked as expected. Apart from suffering dirty looks from other commuters who we were blocking, there was no problem with waiting briefly or trying another gate—it always worked in the end. Finally, as international travelers, we needed a plug adapter so we could charge our various devices with US plugs in UK sockets. There are many such devices, but I wanted to share the adapter I ended up buying since it worked extremely well. 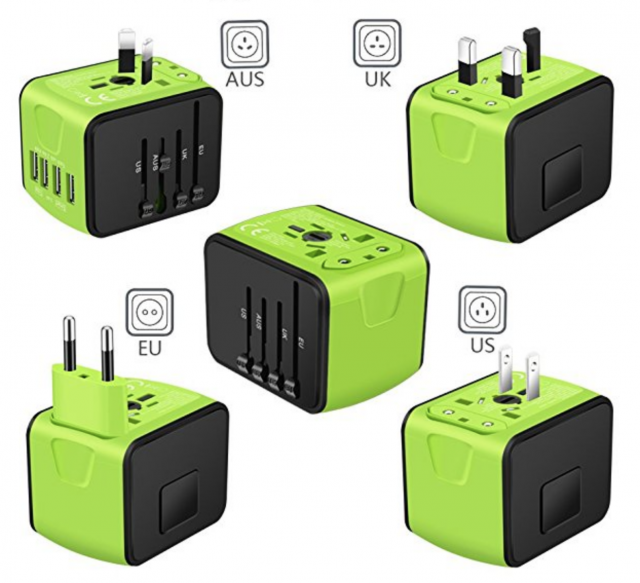 The Saunorch International Travel Power Adapter is a colorful cube that combines a single universal AC socket with four USB charging ports that can be used simultaneously. It claims to have a smart IC chip that automatically recognizes devices to provide the right current output—I can’t speak to that, but all our devices (a collection of iPhones, iPads, Apple Watches, and a Garmin Forerunner 620) charged in what seemed like reasonable times. To protect your devices against power surges, Saunorch’s power adapter has a 6.3A fuse and comes with a spare fuse, although you’ll have to keep track of that separately. Note that it’s not a power converter, so it can’t convert voltage, though that doesn’t come up much with electronics. And it’s also not intended for high-power appliances like hair dryers or tea kettles. But for ensuring that you can charge your iPhone, MacBook, and other electronics wherever you are, it’s a steal at less than $20.